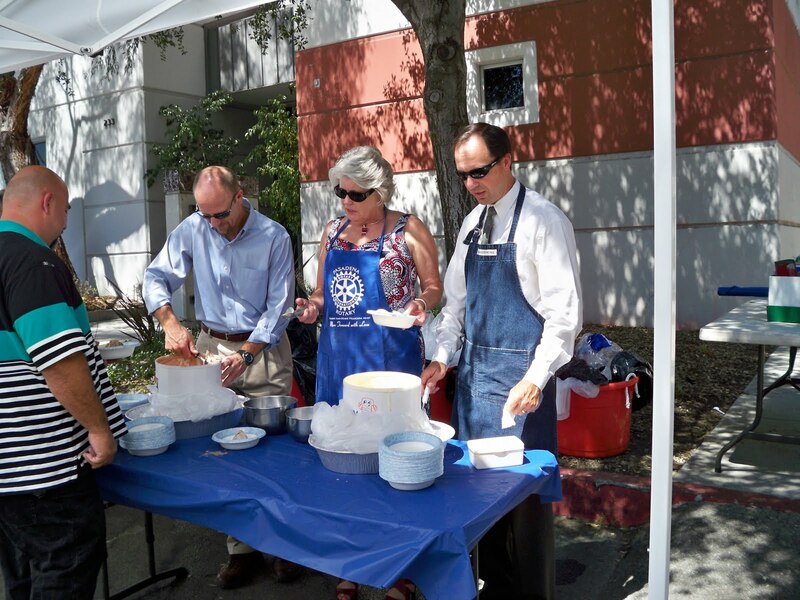 Two days after an ice cream social at City Hall for employees, the city manager hosted another one for employees who work at the City Yards on the north side of Mountain Street just east of the 210 Freeway. This is where many of the operations for the Public Works Department and Pasadena Water and Power are carried out. 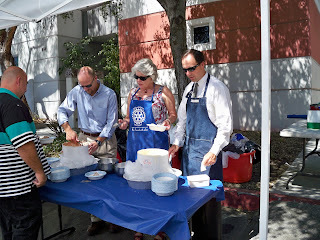 Servers included (left to right) Public Works Director Martin Pastucha, Public Libraries Director Jan Sanders and City Manager Michael Beck. Also serving were Shari Thomas, Eric Klinkner and Joe Awad, all assistant general managers for Pasadena Water and Power. Many thanks to Michael Beck. City Manager Michael Beck's ice cream social for employees Tuesday was a big hit on a very hot day. 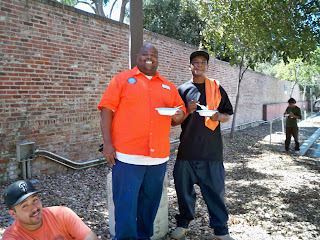 The servers were mostly members of the executive staff. 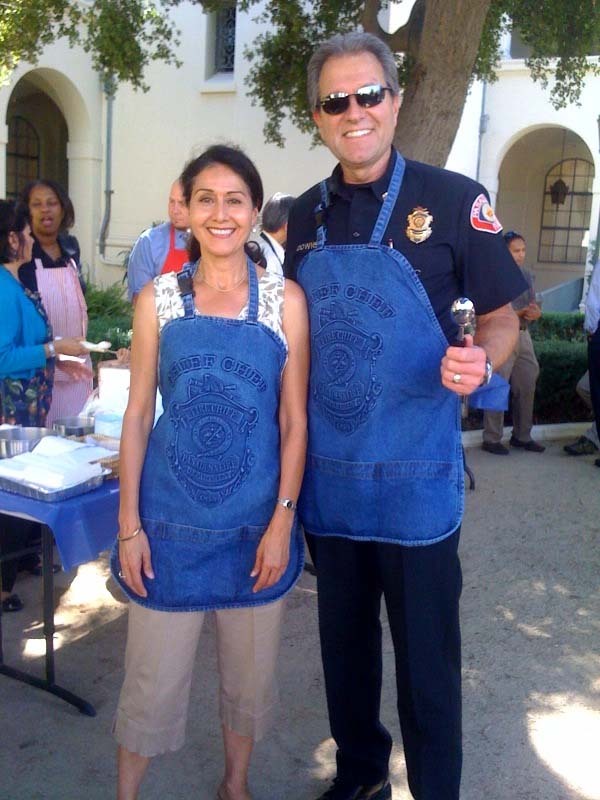 In the photo above, Fire Chief Dennis Downs and his executive secretary, Peggy Palmer, stand at the ready to scoop the creamy confectionery at this second annual event. 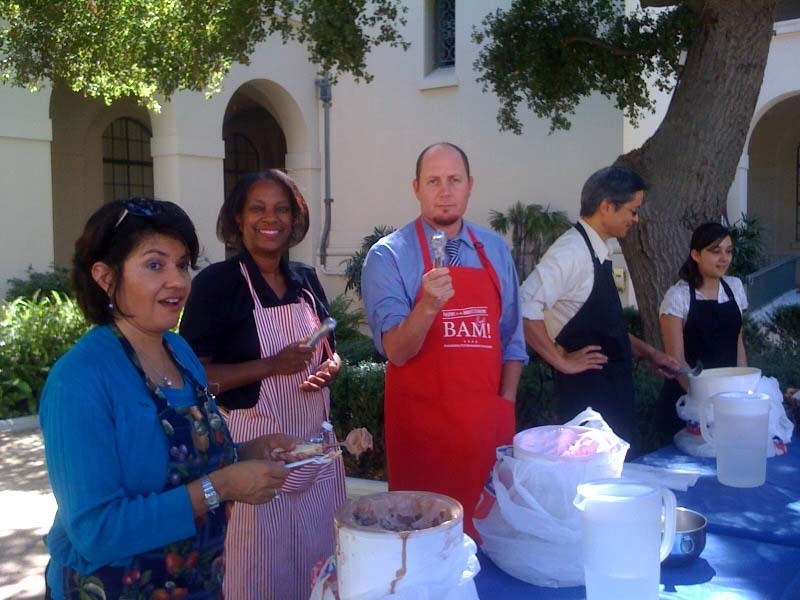 Below, left to right, are Assistant City Manager Julie Gutierrez, City Attorney Michele Bagneris, City Clerk Mark Jomsky, Housing Director Bill Huang, and Patty Sierra, a summer employee in the Housing Department. Here are Assistant City Manager Steve Mermell (second from right) and Police Chief Phil Sanchez. 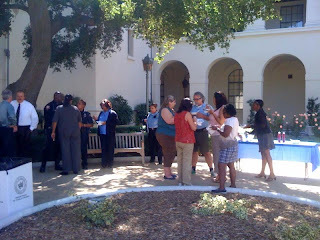 And, of course, city employees appreciated having a tasty treat in the shade of the City Hall courtyard. 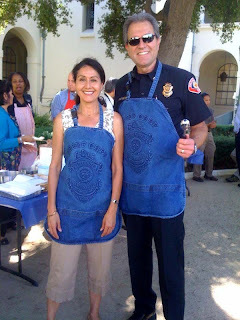 Many thanks to Delia Corey, executive assistant to the city manager. 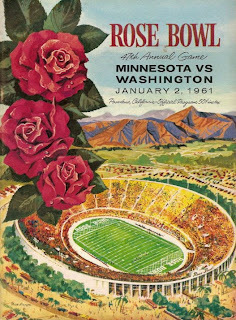 Susan wins with her 7:07 a.m. Tuesday guess "It's the Rose Bowl hoax of 1961, when 14 Caltech students changed the Washington Huskies halftime card stunt to read Caltech." Sure enough, in the photo above, unsuspecting Washington Huskies football fans hold up flip cards they believe spell out "HUSKIES" during halftime ceremonies at the Rose Bowl Game on Jan. 2, 1961*. 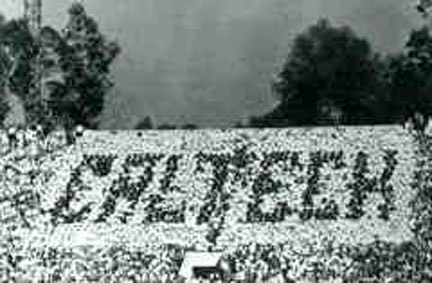 But the joke was on them because several Caltech students, calling themselves "The Fiendish Fourteen," hatched a week-long plan for carrying out a brilliant hoax in front of a sold-out stadium crowd and an estimated 30 million television viewers. 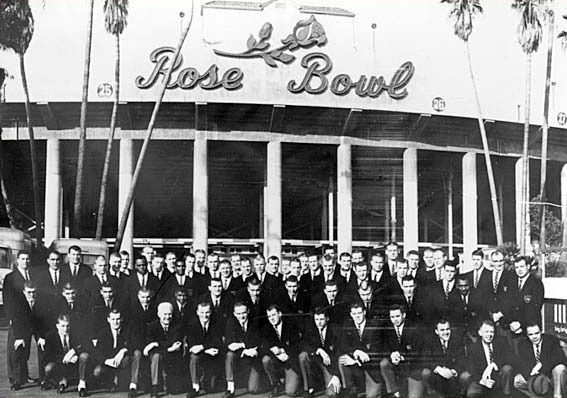 The University of Washington football team, shown here with their coaches, had no idea the stunt was being planned. Details of the hoax are much too long and complicated for me to run down here on my humble little blog. According to Caltech, "It has emerged as the standard against which all other pranks are compared, and has never been equaled, let alone surpassed." 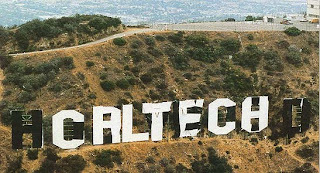 The complete, most accurate background is available on the Caltech website here. That article made local news that was picked up by the Associated Press, which led to the background on the hoax being printed in newspapers around the world. The secret of how California Institute of Technology pranksters tricked University of Washington students into spelling out "Caltech" for a nationwide TV audience at the last Rose Bowl game was laid bare Thursday. 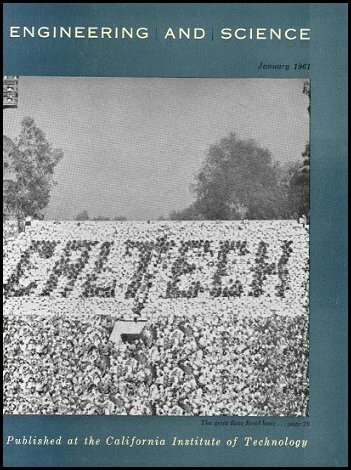 The current issue of Caltech Magazine, engineering and science, carries a story by Lance Taylor, class of 1962, which outlines the almost incredible preparation and ingenuity required. The article goes on to report the sequence of events, which began before Christmas. 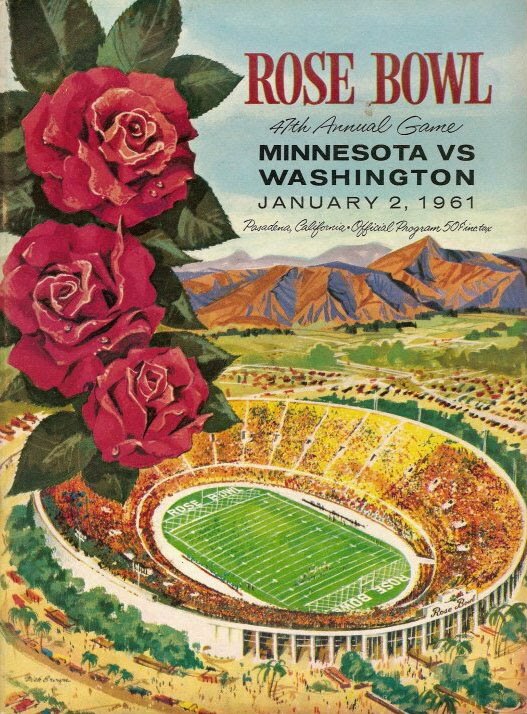 Here's the cover of the program for the 1961 Rose Bowl Game. The Huskies must have taken some comfort from winning the game 17-7. 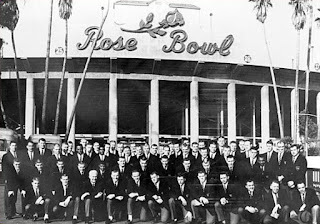 The Huskies have had seven Rose Bowl wins. • In 1977 Caltech grad Bruce Montgomery inscribed "DEI/FEIF" onto the valve package he designed for each of the Voyager missions. 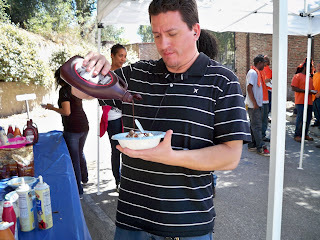 It was a nod to the long-time Dabney Eats It/Fleming Eats It Faster fraternity rivalry. • In 1984 some students hacked into the Rose Bowl Game scoreboard at halftime and changed it to read "Caltech 31, MIT 9" (UCLA was playing Illinois). 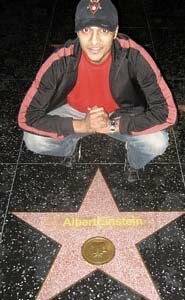 • In 2005 Caltech students stealthfully superimposed the names of hundreds of illustrious scientists onto stars on the Hollywood Walk of Fame in honor of a commemorative U.S. postage stamp of late Caltech physicist Richard P. Feynman. * Whenever Jan. 1 falls on a Sunday, the parade and game are the following day. 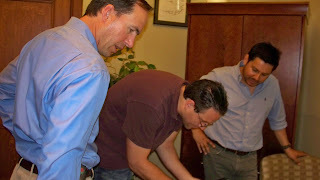 During a meeting in my office today, Michael Beck (left), the mighty Zack Stromberg, Robert Montaño and I pored over some designs for something that will be revealed to you in time. 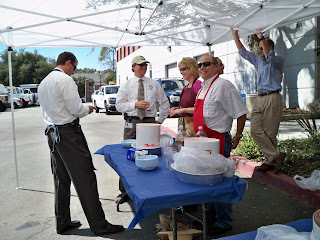 Michael is the city manager, Zack is my graphic designer in the Public Affairs Office and Robert is a project planner in the Economic Development Office. 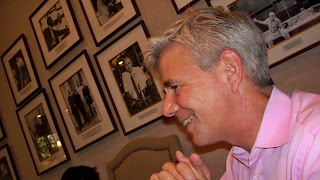 I'm calling a tie on this one: (1) Trish for her 11:29 a.m. Tuesday guess "can't remember her name...ugh, brain fail. But behind her, welding work being done on the queen/court float for the parade" and (2) Roberta for her 11:37 p.m. Wednesday guess "Isabel Coleman?" In the photo above, Isabella Coleman stands in front of the steel framework for San Diego's 1965 Rose Parade float titled "World Peace." 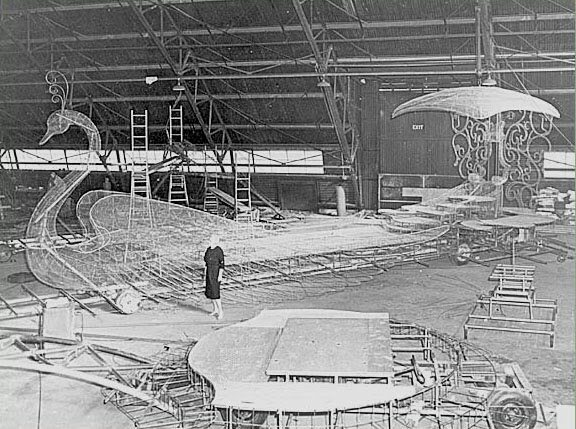 It was one of the final works of the veteran float designer whose career spanned 60 years. 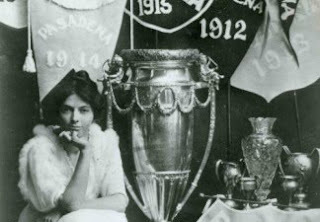 Isabella Coleman was a visionary who was single-handedly responsible for changing the look of the Rose Parade. 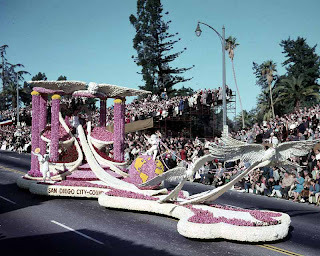 In the early days of the Tournament of Roses, before the turn of the century, the parade featured horse-drawn wagons with a few roses and other flowers woven or tied to them. Along came "Izzy," who in 1909 created the technique of gluing individual flower petals -- thousands of them -- on a single entry. 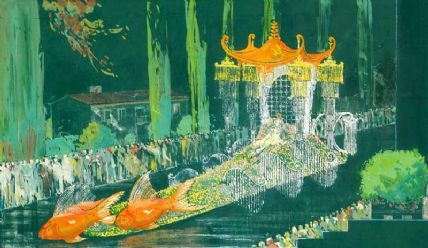 She later pioneered many of the techniques for animation and elaborate detail that float designers still use today; and she was the first to pitch ideas for floats to corporate sponsors that would fund the work. During the Great Depression, when her banker husband was out of work, it was her float designs that kept the family, er, afloat. 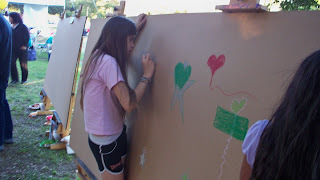 For each float she drew dozens of sketches, then hired commercial artists to create renderings. 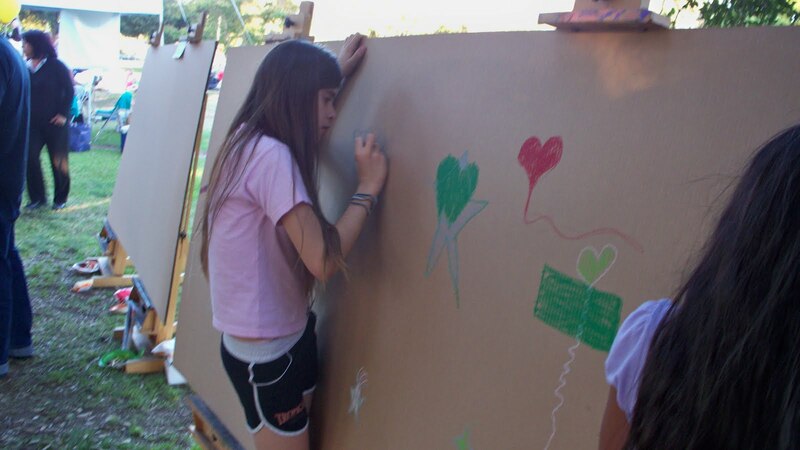 She stored the sketches and renderings under rugs in her home to keep them flat and save space. 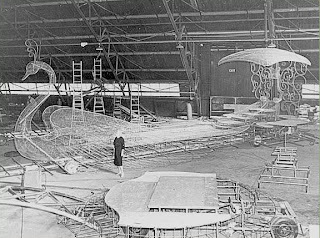 Here's Izzy next to her 1960 Occidental Insurance float under construction. 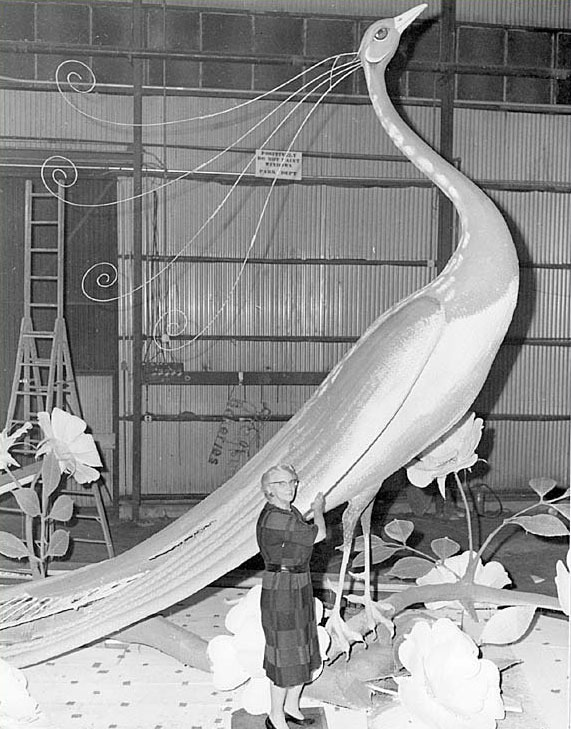 All told, she designed more than 250 award-winning Rose Parade floats over the course of her career. 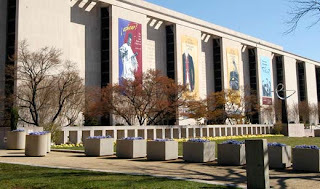 The Smithsonian Institution's National Museum of American History has an ongoing exhibition titled "Holidays on Display" that features Isabella's work. 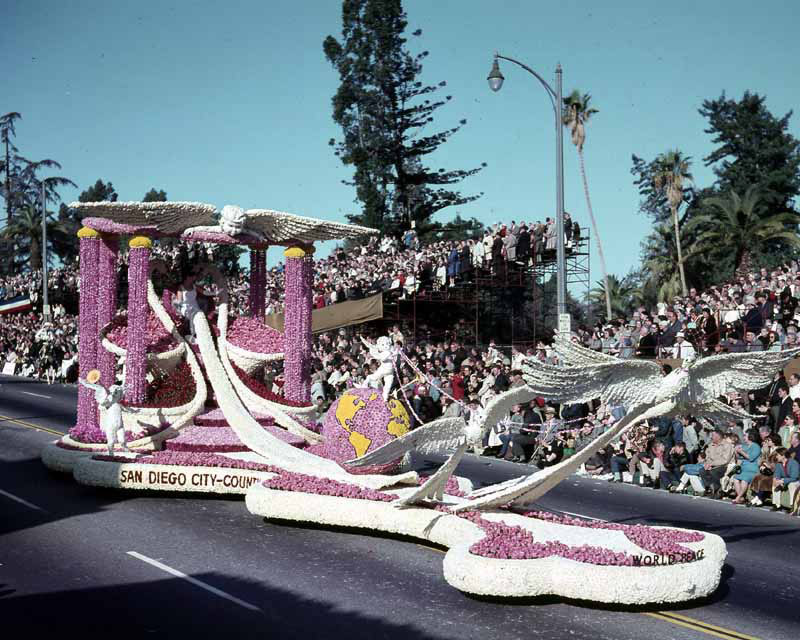 Five years after she retired, the Tournament of Roses honored her by adding a new float award: the Isabella Coleman Trophy for best presentation of color and color harmony through floral use. 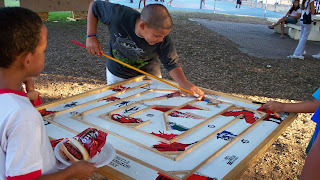 She remains the most respected float designer in history. 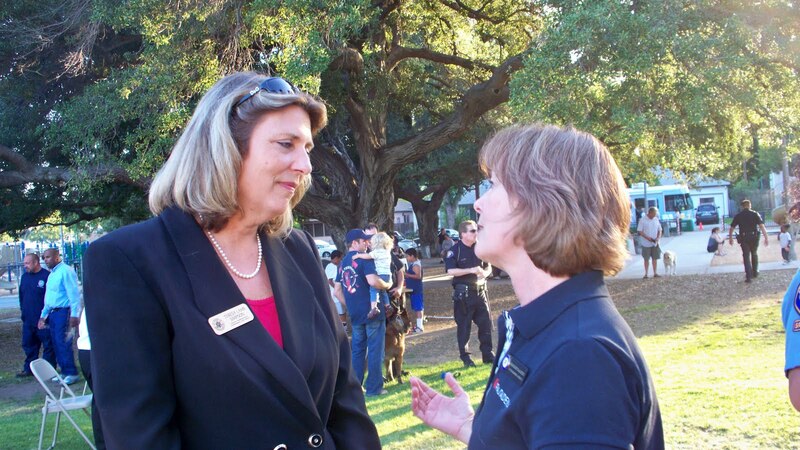 For you local history buffs, her father was C.V. Sturdevant, a Pasadena realtor and developer. So it would seem that despite the "late disturbance" the town was altogether in desperate straits. The Board of Trade Directors, then as now, met now and decided that "something should be done" to promote progress, etc. Due attention must be given to the fact that the "Colony" had outgrown its swaddling clothes, and had become a regularly incorporated "City" of the sixth class, which, under California laws, meant that it was managed by a Board of Trustees, with a Chairman whose duties corresponded with those of Mayor and City Council under a more expanded system. One of the things that counted after the boom wreck had been cleared away, was the efforts made to improve the street by cleaning up, sprinkling them and in cases, paving them. Scarcity of water, at times, scarcity of money, always, retarded street sprinkling and the dust was frequently intolerable. The wide awake real estate agent realized the drawbacks in these conditions and urged their correction. I remember particularly the endeavors in the direction made by such agents as C. V. Sturdevant in the Los Robles, Galena and other streets in the northeast section. Sturdevant labored for two or three years to bring about better street conditions and saw them completed at last. 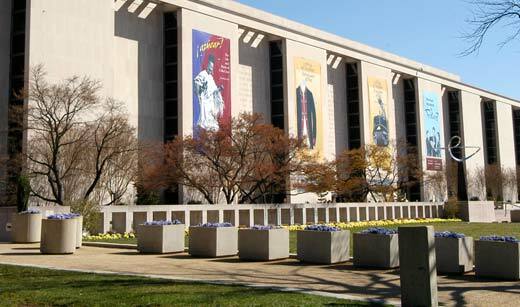 Many thanks to the Tournament of Roses Association and the Smithsonian Institution. 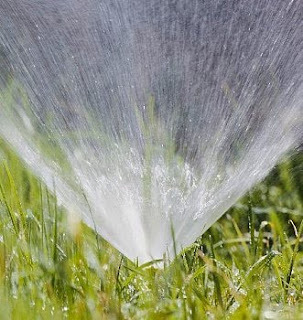 Saturday, Aug. 14, from 9 a.m. to noon – Experts in outdoor water conservation and efficient landscape irrigation will share their wisdom during the H2O Academy for residents at the Salvation Army Pasadena Tabernacle, 960 E. Walnut St. Registration is required. Tuesday, Aug. 17, at 6:30 p.m. – What qualities should Pasadena’s next planning director possess and what issues should that person be prepared to undertake? 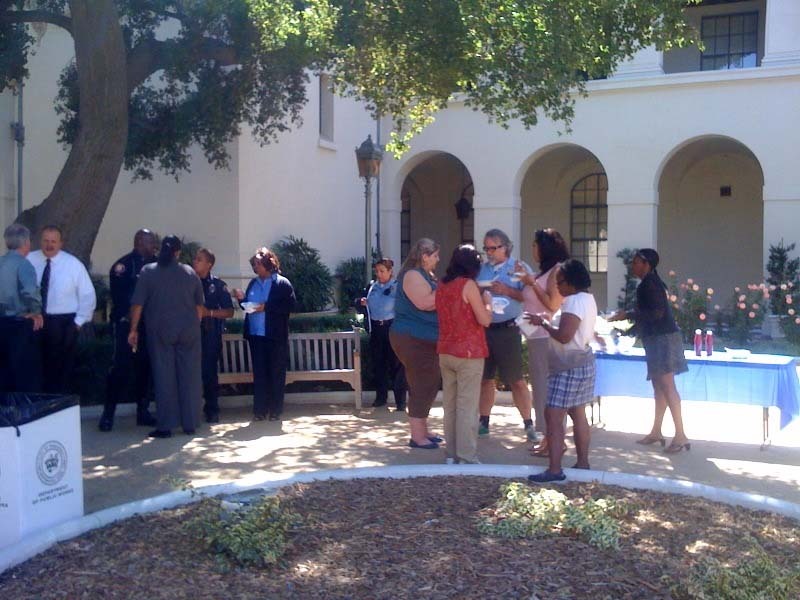 Give your input during a community meeting with the city manager. Can't make it? You can leave your comments online and he'll get them, I promise! 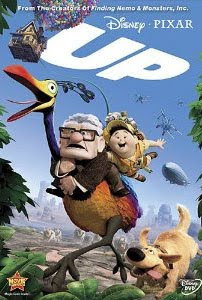 Wednesday, Aug. 18, at 1 p.m. – This week’s film in the Donald R. Wright Auditorium at Pasadena Central Library, 285 E. Walnut St., is the animated “Up” (2009, PG), the story of an elderly man who discovers he’s not alone after he lifts off using thousands of balloons on the journey of a lifetime, with the voices of Ed Asner, Christopher Plummer and John Ratzenberger. 744-4066. Saturday, Aug. 21, at 11 a.m. – “Oh my darlin’, oh my darlin’, oh my daaaaarlin’ Clementine…” People of all ages will tap their toes and clap their hands during a folk song sing-along in the Donald R. Wright Auditorium at Pasadena Central Library. You know you want to! 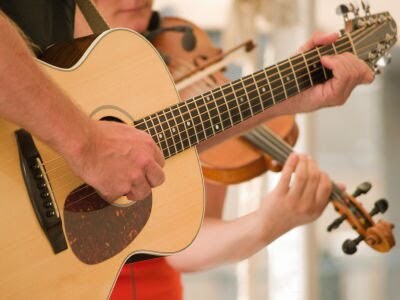 744-4045. 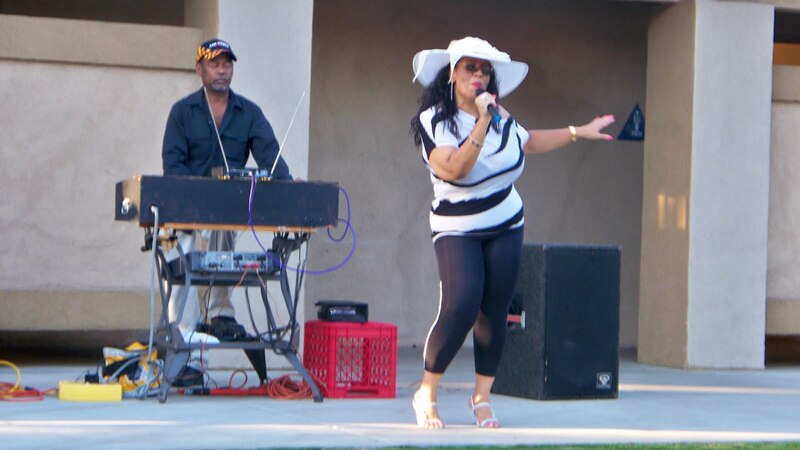 All events listed above are free. All phone numbers are in the (626) area code. This one was a little tricky, but I didn't think I'd stump everybody the way I did. There were plenty of interesting guesses, though. In the photo above, a huge tent is perched at the top of a carved-out hillside in preparation for a celebration marking the start of construction of Art Center College of Design in 1974. 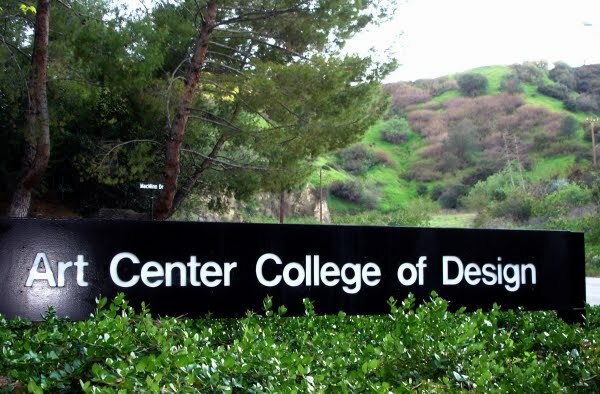 Art Center College of Design was founded in 1930 in Los Angeles, and the move to Pasadena 40-plus years later was a big, big deal. Local dignitaries, special guests with household names and lots of Art Center students and faculty gathered to celebrate what would become one of Pasadena's finest institutions of higher learning. 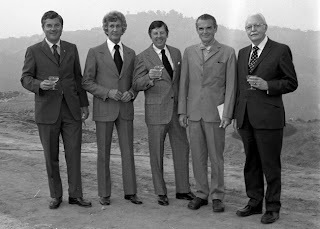 Here's Kubly (center) at the event, toasting the occasion with, from left, Pasadena Mayor Mortimer J. Matthews, architect Craig Ellwood, designer Charles Eames and board member Philip S. Fogg. It couldn't quite be called a groundbreaking since giant earthmovers long since had carved a bench into the San Rafael Hills overlooking the Rose Bowl and Arroyo Seco. So instead, guests clustered under a large white-and-yellow-striped tent to sip champagne, to see how the $7.6 million campus will look when completed and to hear about the accomplishments from members of the Art Center family. 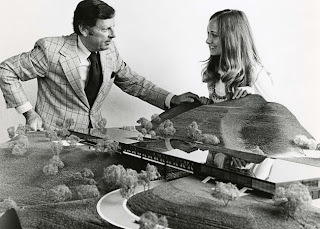 . .
. . .The campus, located near the top of Lida Street, is scheduled for completion in 1976. 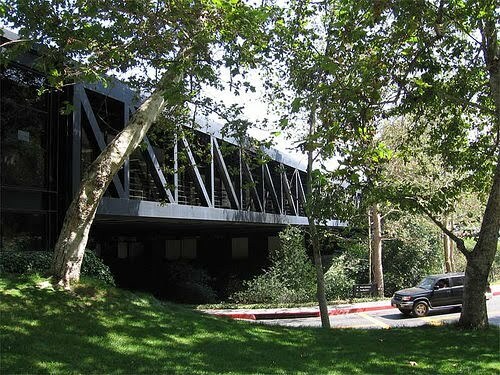 The panorama of Pasadena offers itself as a view, but unlike many large-scale developments, the Art Center gives something back in its design. The most striking feature shown in the artists' renderings and models in the low, single-building structure which will house the entire center. The building will be set back away from the rim of the lot so that the steel and bronzed glass building will be partially hidden -– harmonizing with rather than dominating the landscape. After all these years, what we now call the hillside campus is lush with sycamore trees, pines and other flora. 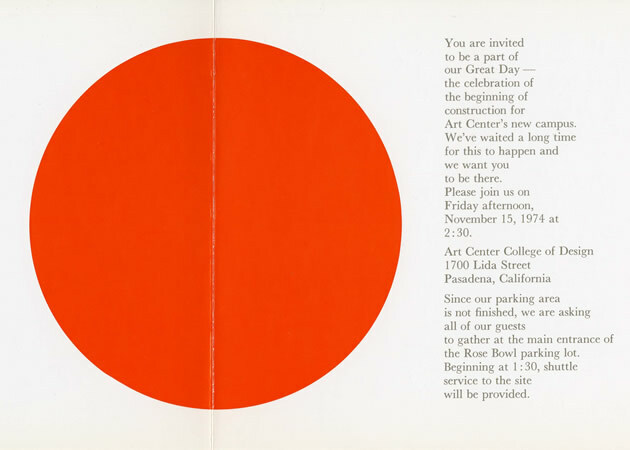 Art Center has a number of photos in the historic archives pages of their website. There's also video of the event in the tent. Many thanks to Art Center College of Design for use of the historic photos and video. Teresa Lamb-Simpson (left), Congressman Adam Schiff's field representative, works out of his Pasadena office at 87 N. Raymond Ave.; Maureen Shanahan, his communications director, works out of his Washington, D.C., office. 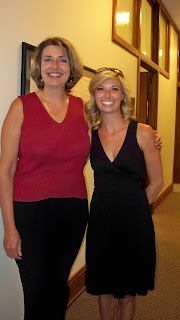 I've known Teresa for years, since before she worked for the congressman, but only knew Maureen via e-mail. 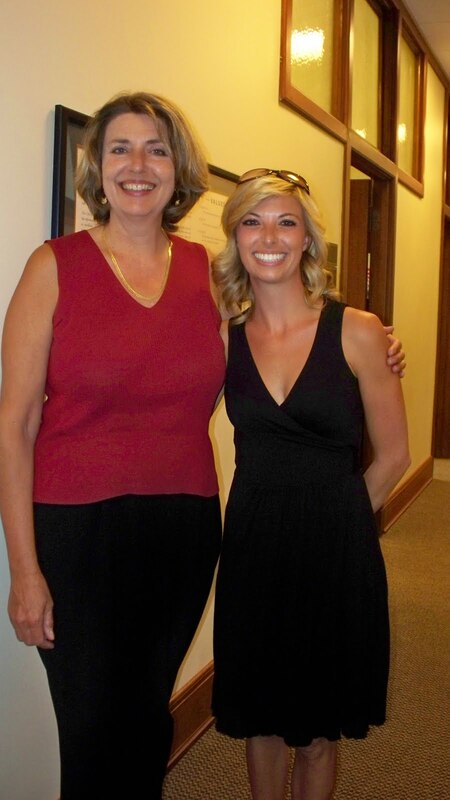 She and Teresa stopped by my office at City Hall for a visit on Monday. Larry Wilson fit right in with photos of Caltech's Nobel Prize winners during a meeting in a lounge at the Athenaeum last week. Last week I promised to go easier on you, and this week I did! 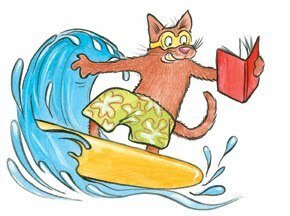 So much so that Dianne nailed it right off the bat with her 10:13 a.m. Tuesday guess "That's my Jack Parsons in the Arroyo getting ready to do the test." In the photo above, John Whiteside "Jack" Parsons stands in the upper Arroyo Seco on Nov. 15, 1936, with an experimental rocket motor. 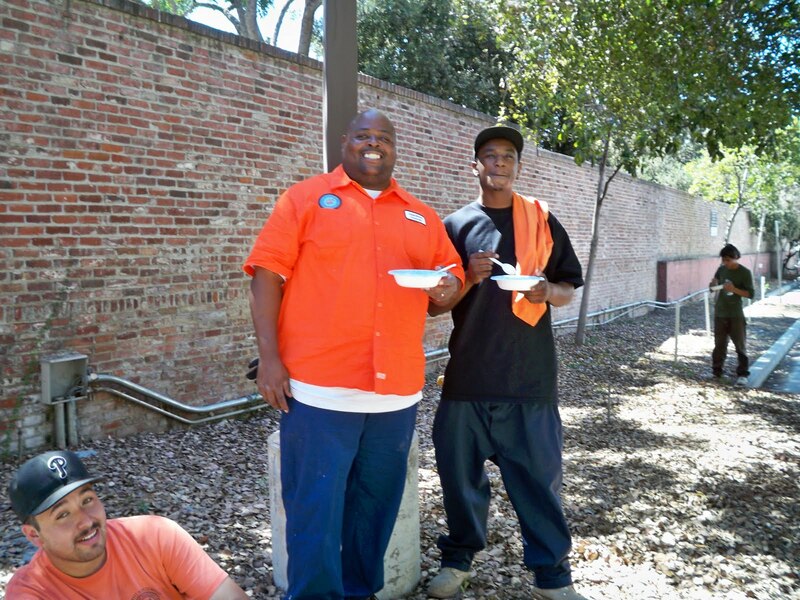 Parsons was born to wealth and privilege in Pasadena. From an early age he was a gifted chemist, self-taught explosives expert and had an obsession with the occult. Parsons teamed up with aeronautical engineer Frank Malina and machinist Ed Forman to test a rocket motor they had thrown together from spare engine parts. After several unsuccessful attempts over the course of four days, the oxygen line unexpectedly ignited and started shooting fire, and the rest is history. 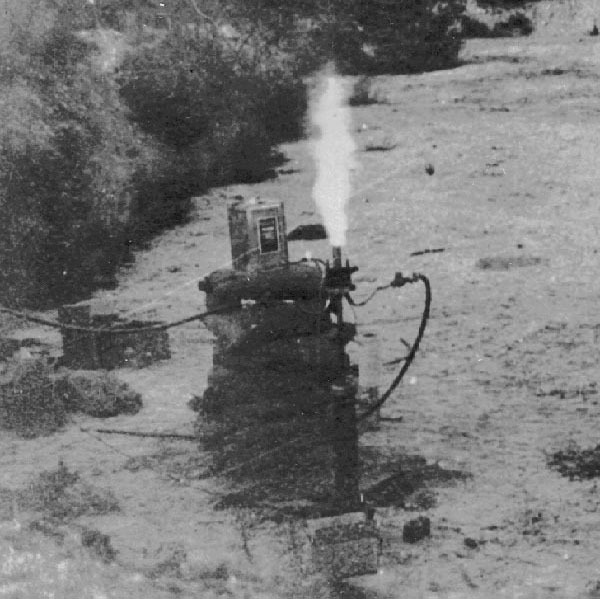 Jet Propulsion Laboratory credits these early rocket motors as eventually evolving into the tools of spacecraft. 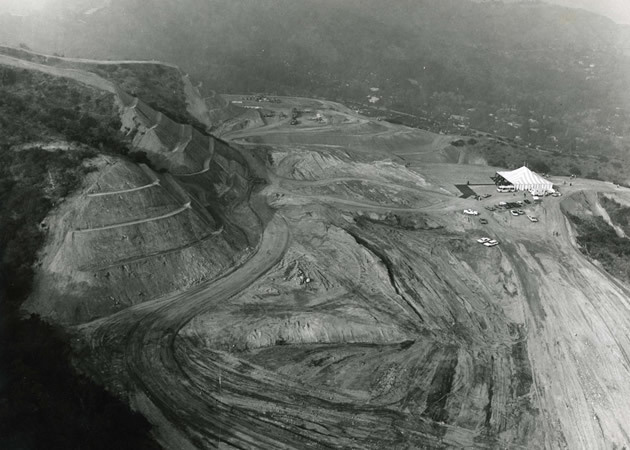 JPL has a nice little video on its website about these early days. Here's a photo of Parsons (front right), Forman (back right) and Malina (third from left) along with students Rudolph Schott (far left) and Apollo Milton Olin Smith. Theodore von Karman credited Jack Parsons's work in solid fuel research with making Polaris and Minuteman possible. 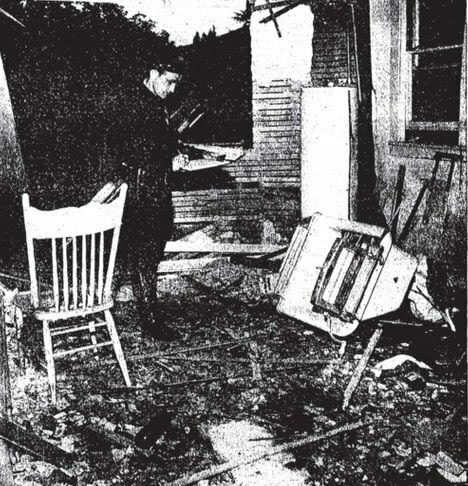 Parsons was only 38 years old on June 17, 1952, when an experiment in his home laboratory went bad and the whole place blew up. He died a few hours later. Here's an L.A. Times photo showing a Pasadena police officer examining the post-blast rubble. 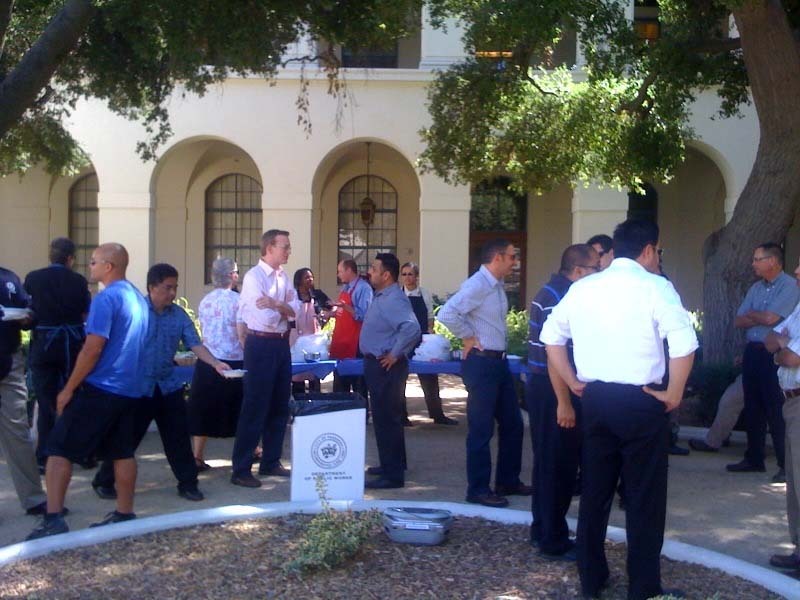 Rocket fuel from early testing seeped into some City of Pasadena water wells over several years, causing some of them to be closed off. 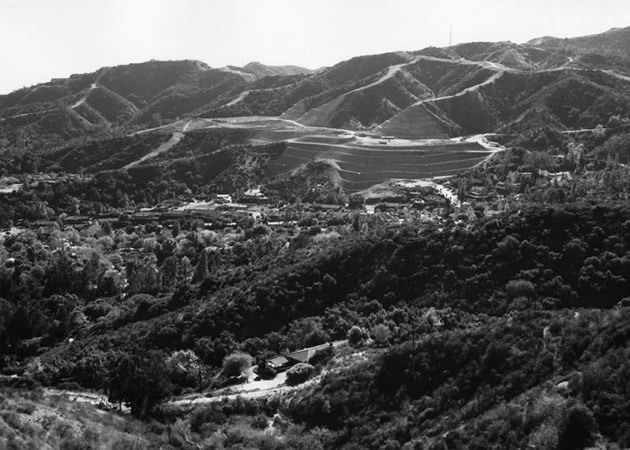 In March 2009, Pasadena Water and Power began construction of the Monk Hill Groundwater Treatment Plant at the Windsor Reservoir near JPL. The new plant will remove perchlorate and volatile organic compounds from four deep wells in that area. 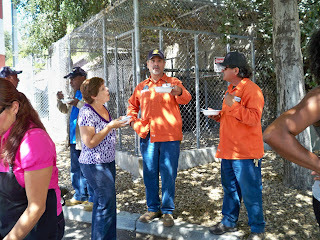 It's a collaboration between the City of Pasadena and NASA, and is scheduled for completion this coming fall, when it will be able to treat 7,000 gallons of groundwater per minute, meet all regulatory stands and restore another source of safe drinking water to Pasadena. 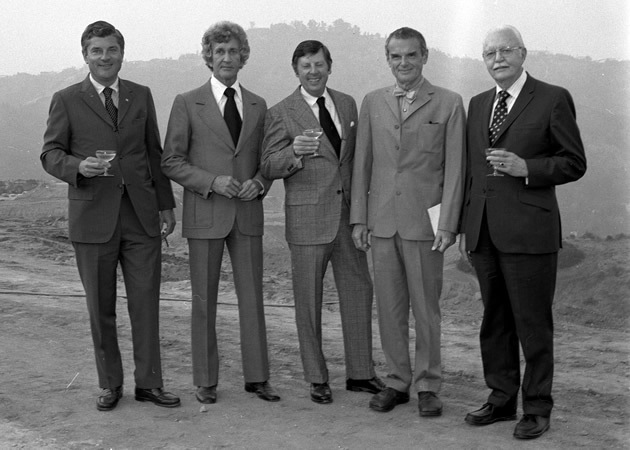 Many thanks to JPL for the historic photos. 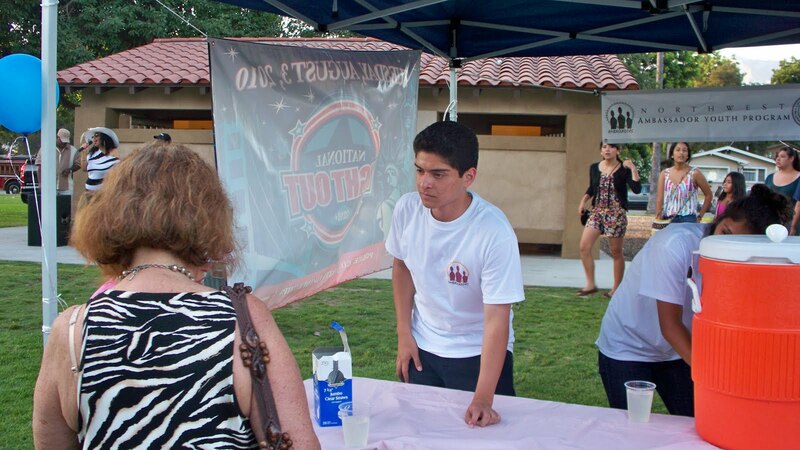 Jefferson Park was abuzz with activity last night as residents gathered for National Night Out hosted by the Pasadena Police Department. 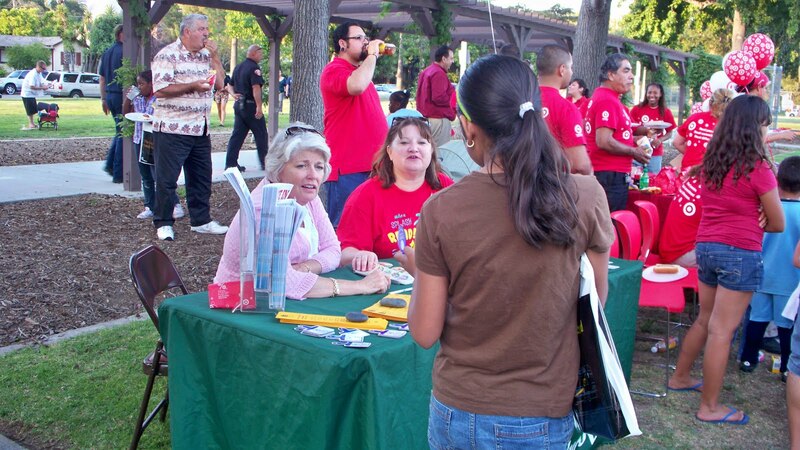 National Night Out is an annual event that promotes crime prevention. 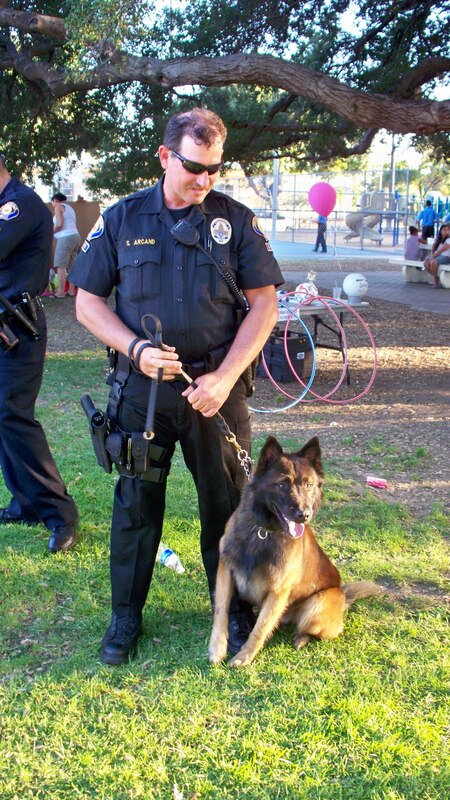 The photo above shows Officer Arcand and Figo of the Pasadena Police Department K-9 program. 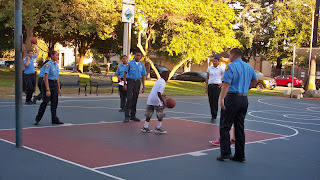 In addition to many police officers on hand at the park last night, police volunteers played an important role in providing educational information. 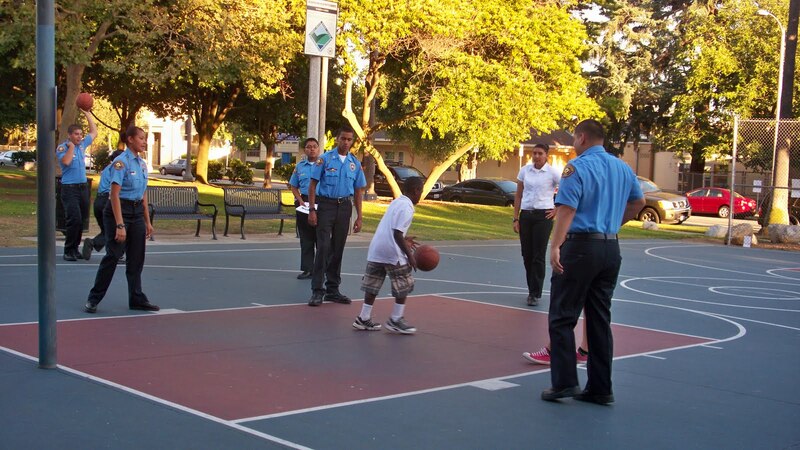 Police Explorers shot hoops with local kids. 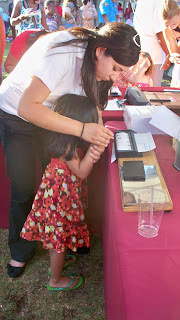 Parents had an opportunity to get their children's fingerprints into a police database. Pasadena firefighters cooked up hot dogs on their special grill. 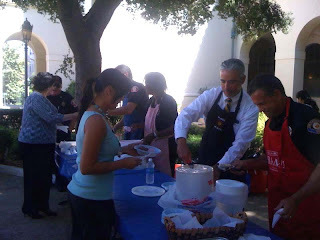 Several other City of Pasadena departments had tables at the event. 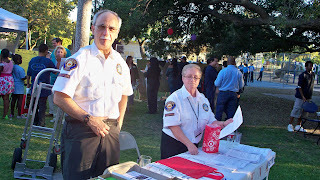 Jan Sanders (left), director of the Pasadena Public Library system, and Catherine Hany, library communications manager, provided information about library services. 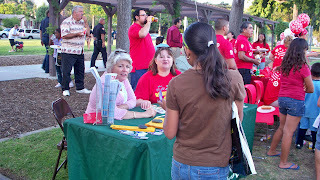 The Human Services and Recreation Department made plenty of activities available for kids. Youth Ambassadors offered assistance, information and ice-cold lemonade. 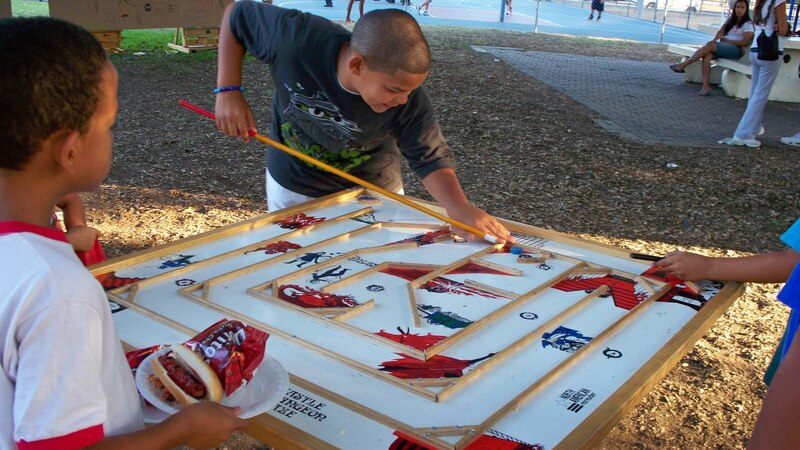 Children and teens turned blank boards into an artful masterpiece. Theresa Lamb Simpson (left), field representative to Congressman Adam Schiff, chatted it up with District 2 City Councilwoman Margaret McAustin. 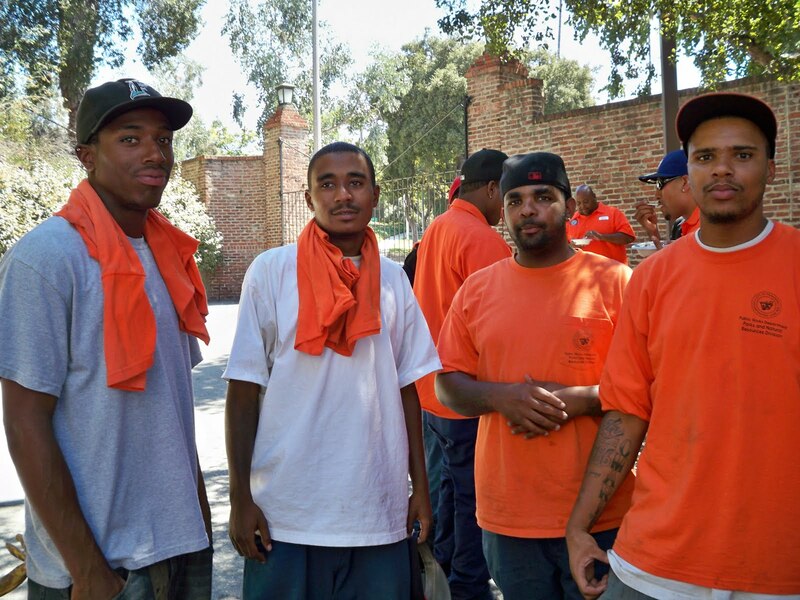 There's a lot of talent in Pasadena! 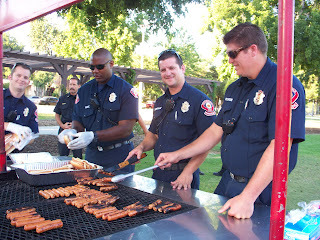 We'll see you at next year's National Night Out! 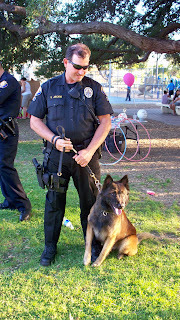 For more information about crime prevention in Pasadena, call (626) 744-4551. My Blog's a Source on Wikipedia!